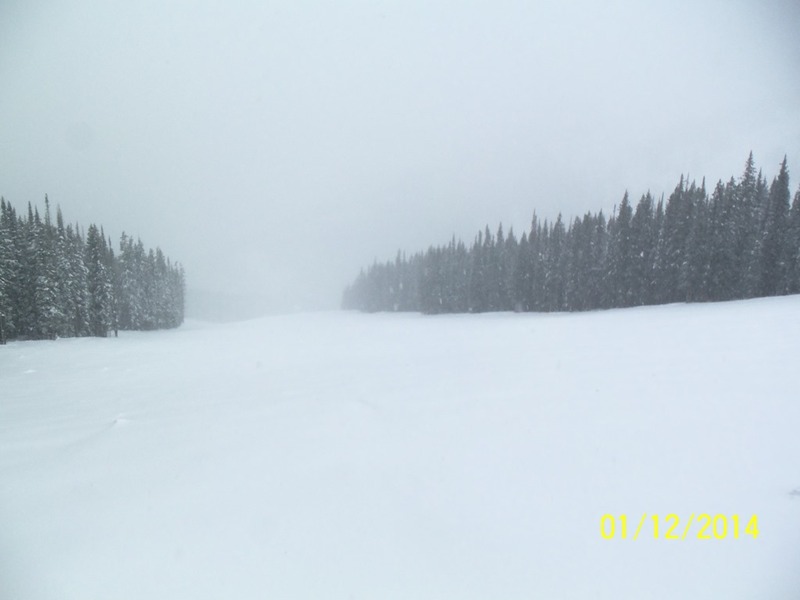 Dateline: Top of Vail Mountain, Sunday, January 12th 2014. 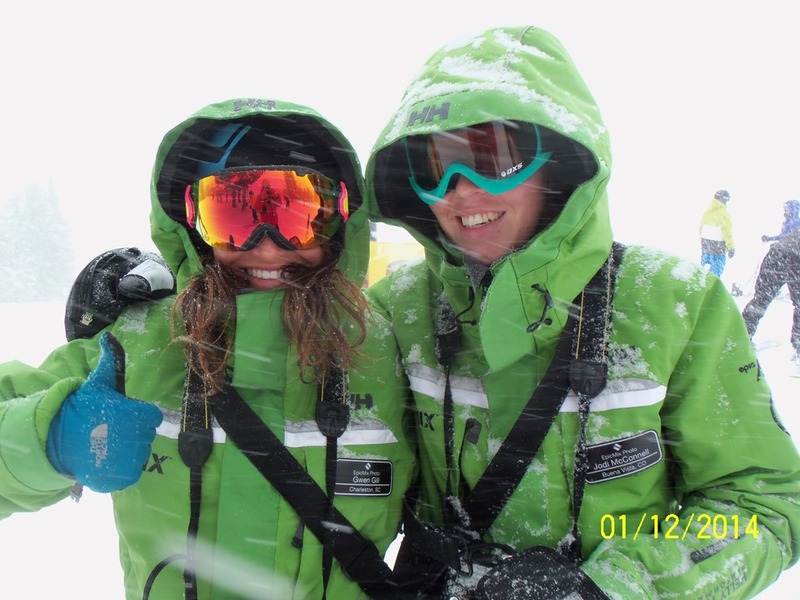 From this past Saturday’s sunny skies – to Sunday’s blizzard like conditions on the top of Vail Mountain the EpicMix Photo ladies were ready with their cameras! Left, and making her debut on the ECT is – Ms. Gwen Gill from Charleston, SC. and a repeat camera visit from R – Ms. Jodi McConnell from Buena Vista, CO.
Love those smiles, ladies! Now about that crowd control last Saturday, 11JAN2014.